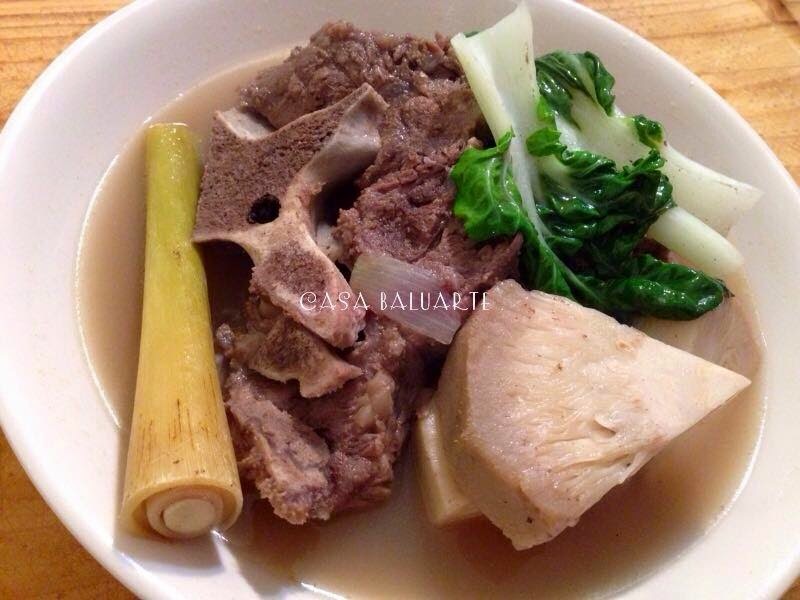 A simple beef and vegetables sour soup recipe for everyone to enjoy. Give it a try. Once water starts boiling place the beef bones. Bring to boil for few minutes, remove meat and discard water. Rinse pot and boil enough water again. Once water starts boiling add the beef, lemon grass stem and onion. 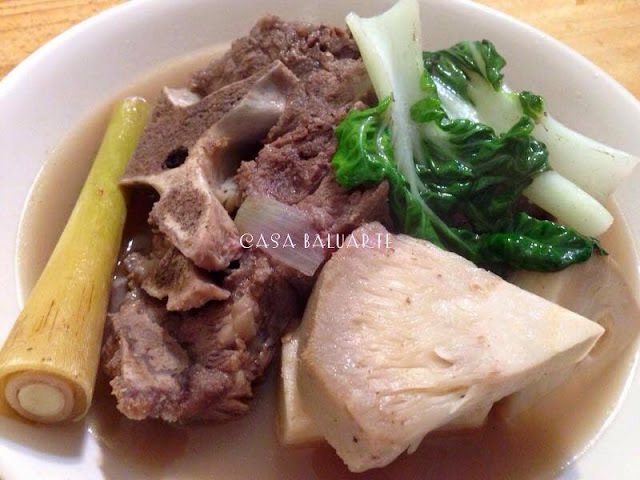 Once beef is fully cooked add langka and ground pepper. Boil till langka is fully cooked. Season the broth with the tamarind mix and salt to taste. Simmer for few more minutes then add the pechay. Bring to a boil for few minutes, remove pot from the heat to avoid the vegetables from over cooking. Serve hot.